The O3 Activity was conducted by the students of Dr. Pillai Global Academy, Gorai. It was aimed at creating an awareness on how we can save our ozone in our own little way, by adopting simple measures such as saving electricity, turning off the taps when not in use keeping the environment clean, using carpools etc. 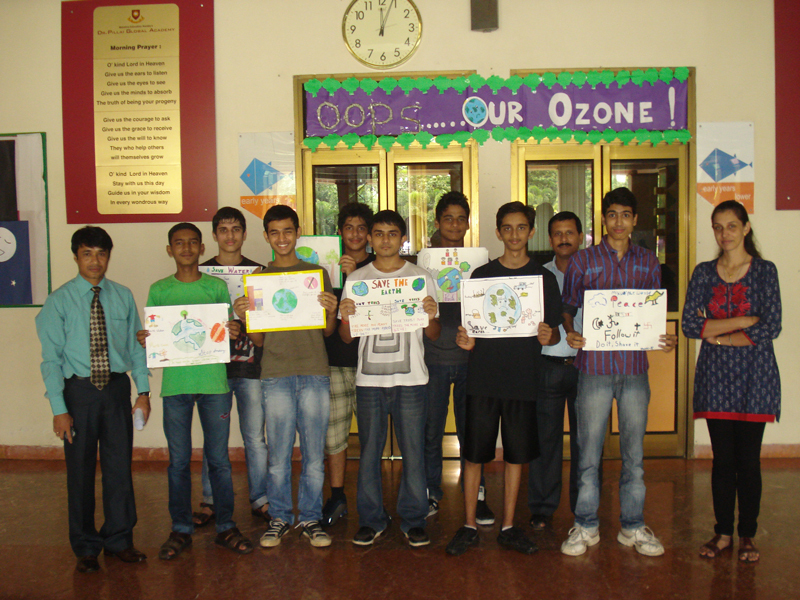 The IB students assisted the students to prepare charts, banners and spread the message of a pollution free environment.